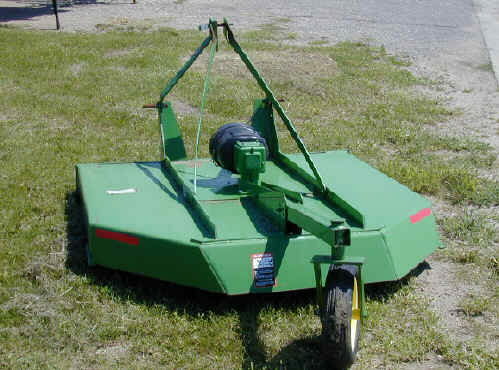 Bush Hog mower attachment for any tractor with a category 1 3 pt hitch. free swinging blades will fold back if they contact hidden stumps, fence posts or solid objects and the drive shaft is clutch and shear pin protected. * Please call us for any questions on our tractor mower 60 inch rotary 3pt attach. rentals in Portland OR, Gresham OR, Milwaukee OR, and surrounding metro area.